During her schooling at the University of Nevada, Reno, Dr. Kimberly Nelson first learned about the philosophies and benefits of chiropractic medicine while working as a receptionist for a local chiropractor. Intrigued by the alternative medicine, Dr. Nelson enrolled at the Palmer College of Chiropractic in Davenport, Iowa. Participating in a clinic abroad program in Fiji, she extended her education while providing much-needed chiropractic care to the local community. Graduating from Palmer College of Chiropractic in 2014, Dr. Nelson returned to Reno to serve her hometown. Dr. Nelson is Board Certified by The Council of Chiropractic Pediatrics of the Academy of Chiropractic Family Practice (ACFP). 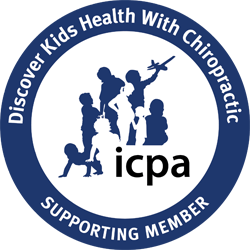 They have been designated with the CACCP credentials and proudly remain a member of the International Chiropractic Pediatric Association (ICPA). She is also certified in Webster’s Technique through the ICPA, Dr. Nelson finds it especially rewarding to work with children and pregnant women. By using the above technique, she has helped many women experience better birthing experiences that protect the health of both the infant and the mother. As a former college athlete, Dr. Nelson is extremely active, enjoying hiking, snowshoeing, snowboarding and running marathons. Supported by her family, Dr. Nelson has been helping us serve the Reno community with high-quality chiropractic care.